Topics: Renting, Cooler / Freezer, and Gallery. 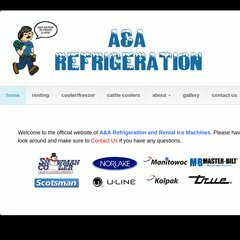 aandarefrigeration.net Refrigeration - Ice Machine Rental - Ice Distribution - Quad ..
American Registry For Internet Numbers (Virginia, Chantilly) is the location of the Apache/2 server. Its IP Number is 98.129.229.186. Its 2 nameservers are dns1.stabletransit.com, and dns2.stabletransit.com. PING www. (98.129.229.186) 56(84) bytes of data.